Here’s how to download Kodi 17 Krypton IPA or DEB file on iOS 10 and then install it on a compatible iPhone, iPad or iPod touch device. 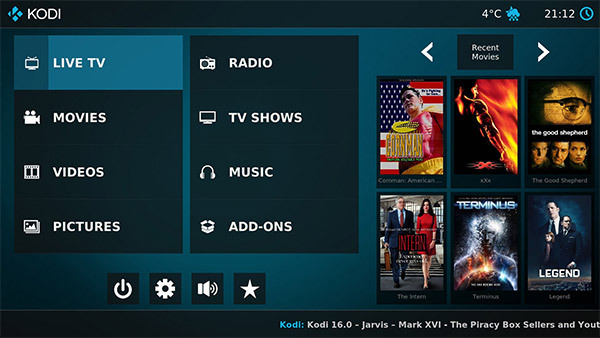 Kodi, one of the world’s most loved media playback applications has recently received a big software update, bringing it up to version number 17. The update is not all about changing the version number and getting a fancy new code name though – it’s Krypton, in case you were wondering – and there are some excellent new additions to the app. -Brand new interface for both touchscreen and non-touchscreen devices. -A new web-based interface named Chorus2. -A series of revamped settings menus for easier navigation. -Improved setup processes for PVR add-ons. -Better tag, album, and art information handling in the music library. Kodi, which originally sprang up from the Xbox Media Center app, is not something which plays well with App Store rules for a variety of reasons, none of which are important for this post. 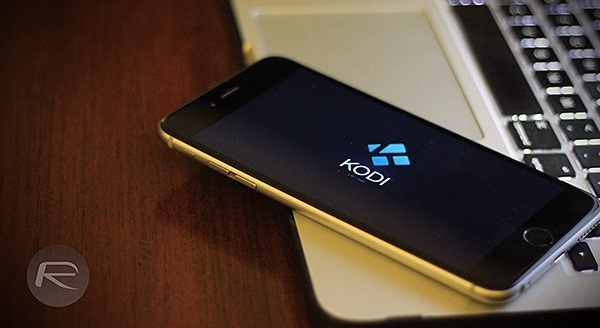 What you do need to know though is that getting Kodi onto an iOS device needs some specific steps to be followed. In fact, there are two sets of steps representing the two different routes that users can go down; one involves jailbreaking, and the other does not. -Method 2 [Cydia Impactor]: Sideload iOS Apps On Windows, Mac With Cydia Impactor Without Jailbreak, Here’s How. Requires Kodi 17 IPA which you can download from here. With Jailbreak: Download And Install Kodi (XBMC) On iPhone And iPad [How-To Tutorial]. Works up to iOS 10.2 only. Both the jailbreak and non-jailbreak options have their benefits, and importantly we have covered both in detail so no matter which option you plump for, you should be up and running in no time. For me, anything above Kodi 14 crashed on iOS 10 jailbreak if I installed it as a .deb. I had to convert the Kodi 16.1 (best version for ares wizard) .deb to an IPA (google how-to), then I just installed it with Cydia Impactor with a free account. Technically it will only last 7 days, but if you install Immortal from cydia, as long as you’re in jailbroken state it will be signed forever. No re-signing needed. Yeah, redmondpie forgot to mention that it will only last 7 days on non-jailbreak iPhone. Is there a way to have Kodi on iPhone non-jailbreak forever signed ? I don’t want to jailbreak, thought. Hi, I added the repo and installed Kodi.IOS for my JB iphone 6S with 10.2 but the app will not run. Any clue? The “With Jailbreak” method linked above takes you to the Kodi repository that only has the old 15.2 version. Why not just install the IPA linked in the non-jailbreak method via iFunbox if jailbroken? Maybe with iFunbox, like TimTech mentioned above. I haven’t tried it personally. Installing .deb did not work for me no matter what. But after I deleted the preference files I was able to run it when I installed via impactor. Nick, I have removed both Kodi icons from the iphone (the kodi-ios 15.2 from the repo and also Kodi.ipa uploaded using impactor) as either one works. I than use iFile and navigate into my preferences BUT did not find any XMBC or Kodi prer. Is it possible that they where automatically removed? I know about iFunbox but I will need to know someone who can run it on non-jailbreak without last 7 days. I want it to be forever signed non-jailbreak. Possibly. Install Kodi 16.1 with impactor. Convert the deb to IPA yourself with 7zip (google: convert deb to IPA 7zip). Then after install make sure you trust developer in settings > general > profiles & device management. When I installed with impactor it crashed the very first time I opened it. I then tried again and it worked. Also try rebooting phone after install. And make sure you don’t have cydia tweaks that might cause it to crash, like Eclipse or other theming type tweaks. Try it out. I’m pretty sure you can install with iFunbox without jailbreak. Covert the Kodi .deb to IPA yourself (google: convert deb to IPA 7zip). i loaded kodi 17.3 on my ipad2 but keep getting error message unable to connect to network when I try to download an addon. have looked for help on youtube etc. can anyone help me?